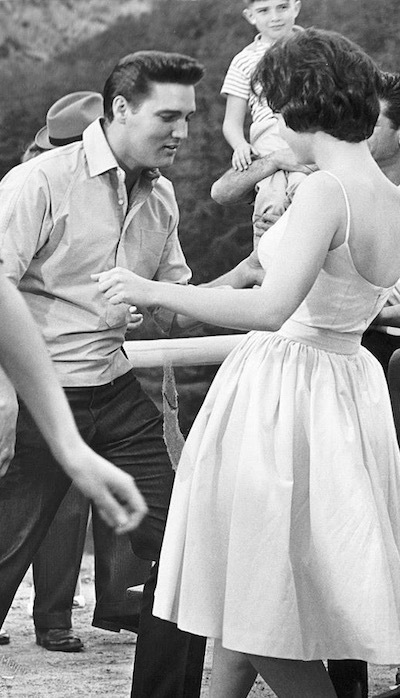 Certainly in his first two films for United Artists, the studio felt confident enough in Elvis to hand him two roles that were both out of the ordinary and challenging for him. The previous year, Presley played a subtle comedic role as a hillbilly in UA’s Follow That Dream. 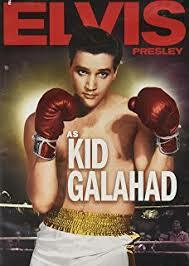 In Kid Galahad he was back with another atypical role, this time as a professional boxer. In previous films he had often been portrayed as a tough bar room and street brawler, but as Walter Gulick, a G.I. turned prizefighter, his pugilistic talents were on display openly and often. 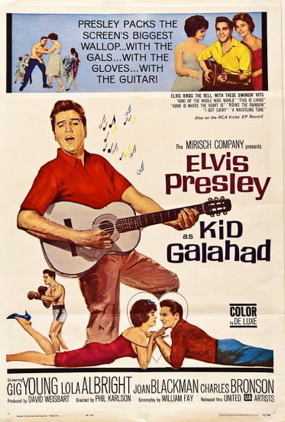 Kid Galahad’s screenplay alternates between light romantic comedy and dramatic episodes. 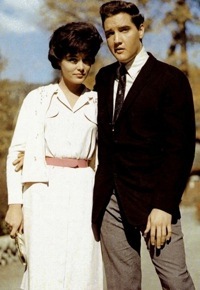 In his previous films, Elvis’s characters almost always initially resisted the romantic wiles of female pursuers. Here, though, his Walter Gulick is stricken by love at the first site of Rose Grogan, played by Joan Blackman, who also played his love interest in Blue Hawaii. In that film she had an active role. 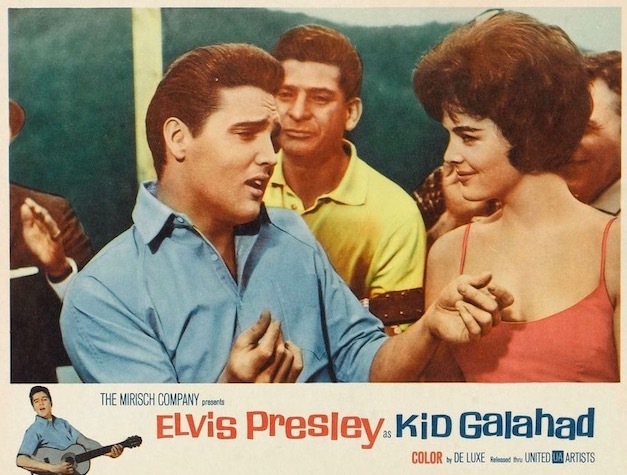 In Kid Galahad her job consists mostly of staring seductively into Elvis’s eyes. As in Follow That Dream, a crew of gangsters moves into town, leading to Kid Galahad’s few serious moments. 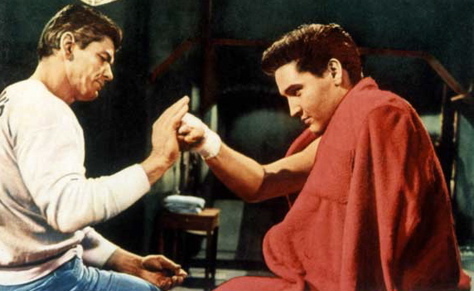 The film’s best dramatic sequence finds Elvis coming to the rescue after his trainer, played by Charles Bronson, gets his hands broken by a couple of mobster heavies. 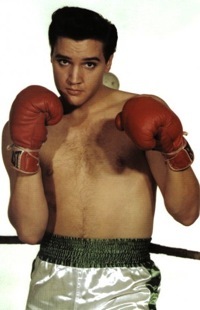 In playing a boxer, however, Elvis’s greatest challenge in Kid Galahad, was his physical appearance. 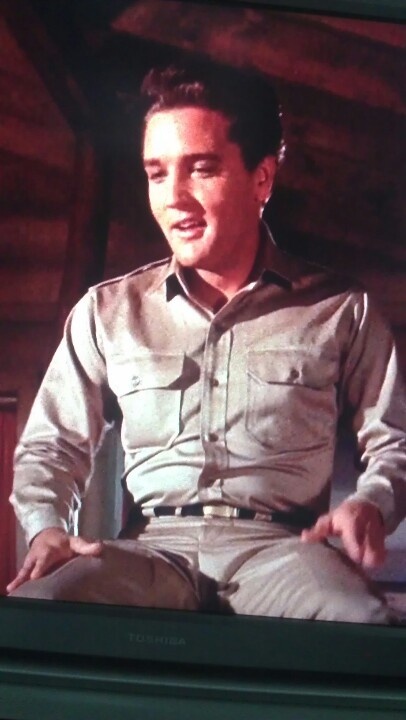 Variety described Presley as “surprisingly paunchy” in the film, and the Times’ Crowther comically contended that Elvis’s physique was woefully miscast. Conversely, Variety’s review criticized the director’s work and that of some of his actors: “Phil Karlson’s direction has some unaccountable lapses of perception, although the fault may lie partially with the limitations of several of his players from whom he apparently was unable to extract the desirable reaction.” Elsewhere Variety made it clear who it judged to be the weak link in the chain of actors. “Gig Young labors through the trite, confusing part of the mixed up proprietor of the upstate boxing stable,” according to the show biz publication. I have to agree with Crowther’s assessment of Gig Young’s work in Kid Galahad. 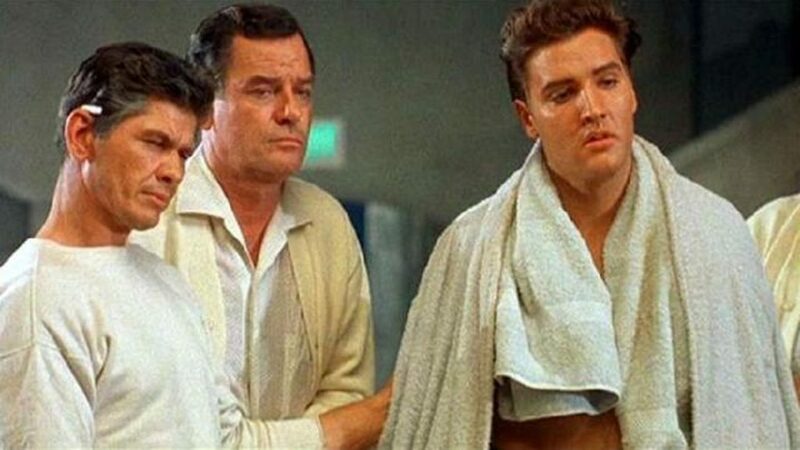 In fact, in addition to Presley, Young, Albright, and Blackman, the rest of the Cream Valley characters are played with charm by Charles Bronson as Lew the trainer, Ned Glass as Lieberman the Jewish nightspot owner, Robert Emhardt as Maynard the cook, Michael Dante as Joie the boxer, and Liam Redmond as Father Higgins. 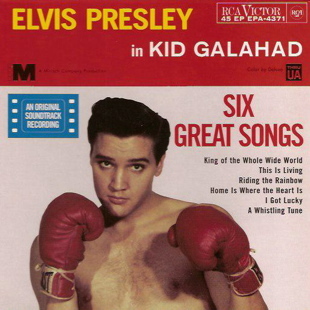 They form a pleasant family of characters that I never tire of revisiting each time I view Kid Galahad. "The last thing you might think Elvis Presley is qualified to do is act a diffident amateur boxer who turns out to be a tiger in the professional fight ring."